Beards are not only a rage in the current generation but also their priced possession too. However, there are still some young guys on the verge of puberty struggling to grow even mustaches. And this is why I curated this section of how to grow a beard especially for them. There can be a lot of factors responsible for the delayed growth of your beards and in this life, the main cause can be stress. However, I have put a lot of aspects under the scanner, and hence I came up with this list of things you can do about it. And some of them are pretty easy. There are a lot of reasons, implementations which were to be considered while looking for a solution to the problem of how to grow a beard. We are not just talking about that initial growth of facial hairs but also about keeping them thick and healthy. And hence I jolted down all the points and put them together into these 10 ideas given below. So, the first and let me tell you the least you can do for your face is to keep it clean. Come on men, it is a simple formula, if you want to grow something you would have to keep the surface clean enough to let it grow and the same applies to this problem of how to grow a beard too. In fact, as compared to women, men are more prone to having acne, dead skin, flakes and huge dirt deposits on their face which ultimately restricts the hair growth on their face. A simple face wash does not work effectively here, and this is why you need to use a great exfoliating product suitable for your skin to clean it out properly. It is the time that you let your pores breathe so they can eventually get enough oxygen to promote hair growths in that area. To start from this exfoliation process, you need a scrub which is good enough to deep clean your skin and open up all the clogged pores. 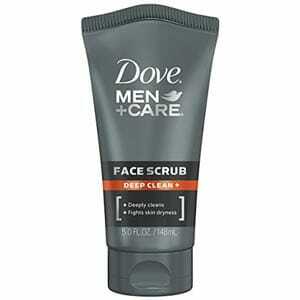 And this dove men+care face scrub is perfect for it. If you are thinking how to grow a beard, then let your face become a clean surface for it first. 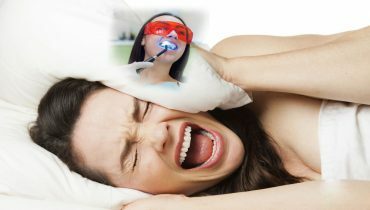 If you are thinking that it is going to leave your face dry, then you are completely wrong. In fact, it keeps the face hydrating enough to do not cause any dryness. There are no skin issues, and this scrub is entirely made up of natural ingredients only. After you are done with getting your face completely exfoliated your pores unclogged, you need a good quality moisturizer to keep your face soft enough. It is a fact that if you will not apply anything on your face after exfoliating it, this is going to lead to making your face dry and flaky. And I hope you do not want a rogue skin like that. So, while we are figuring out that how to grow a beard, you need to take this petty step to keep your face nourished and moisturized enough. I also heard that you should use Eucalyptus based moisturizer or cream on your face as this ingredient promotes the healthy and fast growth of beards. However, I have this another kind of product you can use for beard growth, and it works amazing too. 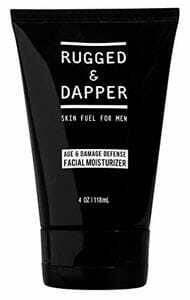 This moisturizer by Rugged and Dapper is used for a lot of purposes. Apart from nourishing and enriching your face with its nutrients, it also works as an anti-aging cream and aftershave lotion too. It makes a perfect solution to whisk away the issue of how to grow a beard as it nourishes the skin from within. It is a blend of all the natural ingredients like aloe vera, Jojoba oil, shea along with anti-oxidants and vitamins. This formula is not infused with any synthetic fragrance and also remains quite gentle on the skin too providing the much needed soothing sensation. It works for all ages and all skin types so even if you have sensitive skin, you can use this moisturizer. 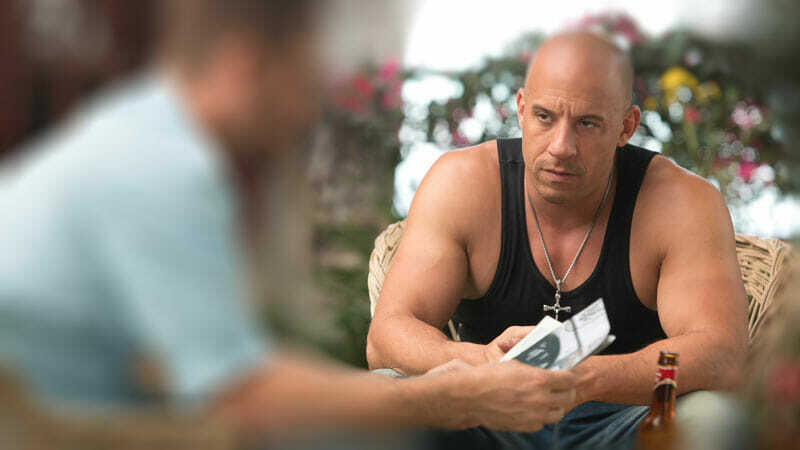 If you think that these products and tips are going to solve the problem of how to grow a beard solely, then you are completely wrong about it. Even when you work out rigorously, you need to back up it with proper nutrients, and strict diet and the same applies to beards growing too. Nothing is going to work on you if you are not eating healthy and taking care of your body properly. And amongst this drinking plenty of water is the first and foremost step. You need to increase the protein intake of your body which can be fulfilled by food like eggs, spinach, fish, beans, red meat, etc. Apart from it, you can also consume oysters, liver, cinnamon and sweet potatoes. I am not saying that you need to rely on these items only, but you can increase their intake for sure. These beard growing tips are going to work even better when you focus on your diet. Apart from your diet, you need to forget about stress too. Stress is always the biggest barrier to achieving anything in your life, and it applies to growing beards too. You need to exercise, eat right and live happily for it. 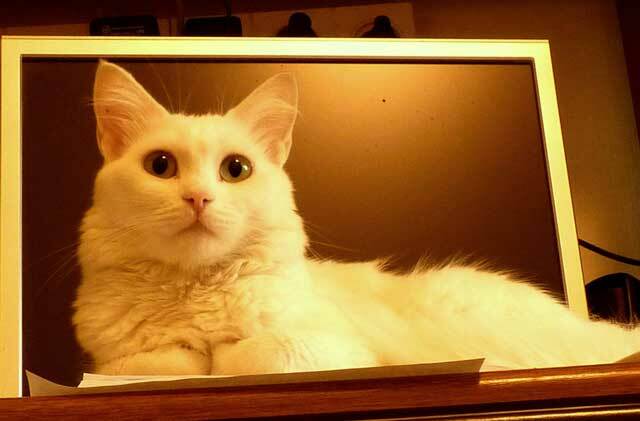 You can also try some facial exercise and face massage too. Increasing the blood circulation towards your face is a big aid in growing beards fast. And do not forget to keep your face clean enough and for this, you can use warm water and mild soap too. Clean face always promotes the growth of small hair follicles on your facial skin which can be then boosted up with these tips. While you are 100% committed to the process of growing beards, many a time you tend to forget focusing on the issues your skin is facing already. I am talking about the ingrown hairs on your face which can serve as a big obstacle for the process of how to grow a beard. Ingrown hairs not only restricts the growth of your beards but they also make it grow unevenly on your face which looks even weirder than not having a beard at all. Many people start plucking and picking these ingrown hairs which lead to various skin issues like acne and blackheads. 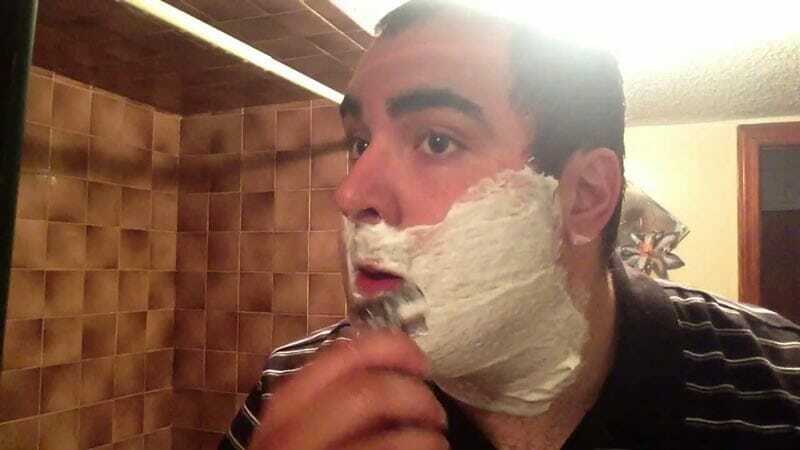 So, I think rather than picking them; you can go for a clean and sharp shave and this I can recommend you a great quality razor. To get rid of ingrown hairs you cannot rely on just plucking them now and then. Along with being painful, it is also not good for your skin too, and hence a sharp shave would be a great idea. To work on how to grow a beard, firstly you would have to go for a clean-shaven look but make sure that you do not do it as often as claimed by some of the myths. Gillette Fusion 5 comes with anti-friction blades packed in safety razor which gives a perfect experience of smooth and simple shaving. You can either use it for clean shaving or for styling your beards too. 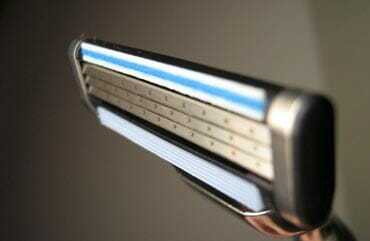 It also comes with a lubricating strip which provides a super smooth gliding of the razor on your skin. You would have been wondering that what exactly Rogaine is and how it can be used for the problem of how to grow a beard? Well, this is a popular brand name which provides Minoxidil foam. Now, all those who have no clue about Minoxidil let me tell you what it is? This is a medication which is used for treating hair loss in particular. 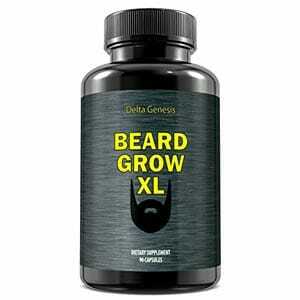 Now, when you are using it as a treatment to grow hairs, you can use it for beards as well as your hairs too. Coming on to our product then this one is going to prove the best out of the rest of the tips for growing a beard. 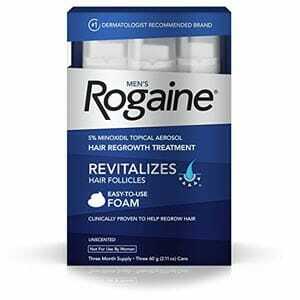 So, this product by Rogaine is basically a type of Minoxidil foam which is unscented and comes with a packaging of three month supply and surprisingly does not cost you a fortune too. It is available in 1 month supply package too, but as it does not start showing result until you use it for 3-4 months continuously, it would be wise enough to buy 3 months packaging. It is clinically proven and boost up the hair growth process to up to 25% and way more effective than any other type of treatment. You should better start using it at early stages of hair thinning itself because once the hair follicles destroy from the roots, nothing is going to work on them. You should use it twice on a daily basis for the best results, and this miraculous product is going to help you for sure to grow amazing beards. I hope that after taking Rogaine, your beards would have started to grow because it works like magic on the growth of hairs. But your struggle of finding the solution of how to grow a beard does not end here but begins from here. Rogaine might help you in giving you an amazing start of growing beards but to keep the pace continue you need to use some great quality beard products which promote healthy growth. And for this, you can use beard shampoo and conditioner. They not only cleanse your facial hairs effectively but also make them thicker and smoother than before. Your beard is going to look seriously disgusting if it is long yet thin as hell and hence you need to use the below-recommended product for making it healthy. More than the length of your beards, their thickness matters and this is why to grow the beards evenly and to keep them clean you need good quality shampoo and conditioner. 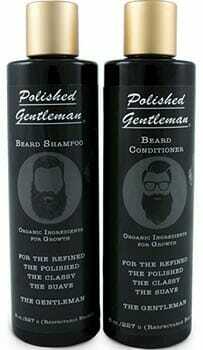 This pack of Polished Gentleman makes a perfect pick and works effectively on your spree of how to grow a beard. It is infused with all those ingredients which promote hair growth like tea tree oil, eucalyptus, biotin, aloe, argon oil, etc. and hence all these natural ingredients come together to grow your beards rapidly. They have infused beard oil in it too so that apart from cleansing, it can provide the much-needed nourishment to your beard hairs too. No matter what type of beards you are having, it works on every one of them. Just a coin size amount is enough. Another interesting tip which can help you in coping up with the issue of how to grow a beard is to use beard oil on your beards. Beard shampoo and conditioner are highly recommended for keeping your beards clean, but the oil helps in keeping it moisturized enough. Do not misunderstand it for taming your beards because oil does not provide that kind of function. Bears oil is mainly used for promoting hair growth as well as to keep your beards moisturized. You should also know that it does not make your hairs greasy at all because essential oils always remain light on the surface. Beard oils do not work like the usual hair oils and hence does not make your hairs greasy at all. The usual function of beard oil is to keep your beards smoother and sophisticated. However as we are discussing the problem of growing fuller beards, I have listed down a beard oil which can be used for beard growth. This is the next amongst the tips to grow a full beard, and it surely works too but slowly. 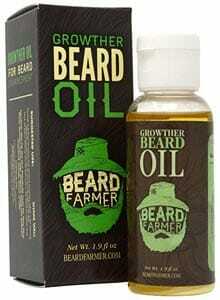 So, this beard growth oil by Beard Farmer is a combination of various natural oils and uses a tried and tested formula. You need to take a small amount and rub thoroughly in your beards, and this formula lasts the whole day. If you are not satisfied with this product, then they also offer full money back guarantee so I think you should try it out. Dandruff, flakiness, split ends, beardruff, etc. are the most common problems attached with growing beards but do you know they can affect the beard growth too? 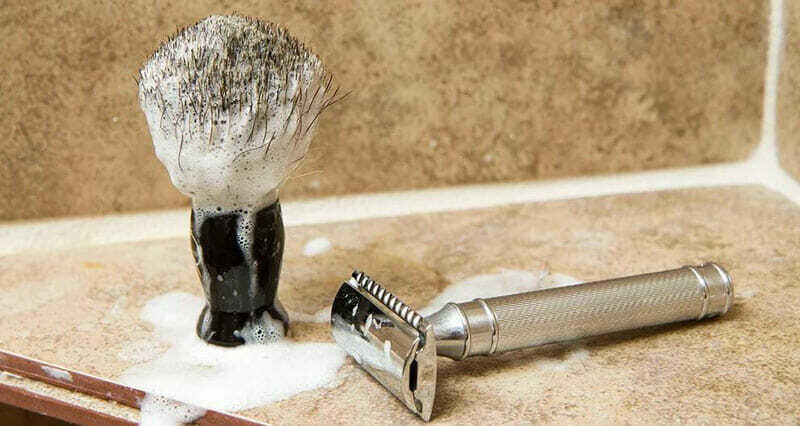 Well, these problems can not only slow down or even stop your beards to grow but also results in itchiness on your skin too and ultimately you have to go for the clean-shaven look. 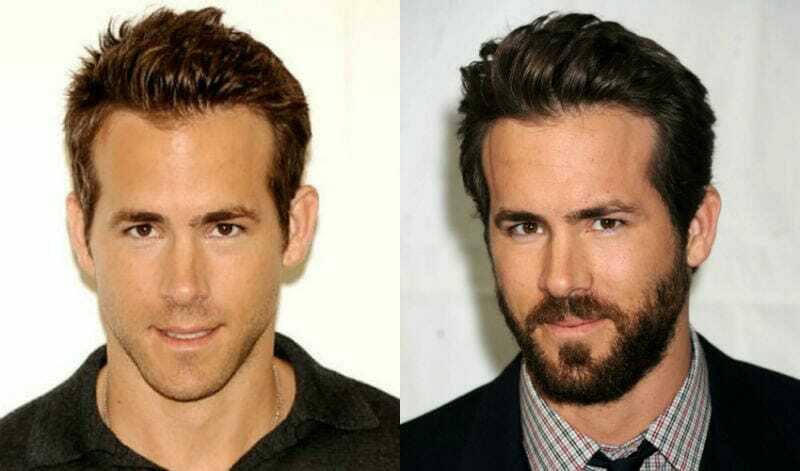 And this is why you should not only know that how to grow a beard but also how to take care of it. And for this process, the beard balm can prove to be a great asset of profit. The beard balms are based on different application, and you need one which provides a balance between good hold of beards as well as beard smoothening too. The product given below might help you in this case. This product is no less than a rage amongst the young men these days because the powerful and completely natural formula of Honest Amish always delivers the best performance. While you are working on the issue of how to grow a beard, you should also know that how you can boost it even more. A healthy and good looking beard is always a dream of every man and this beard balm from Honest Amish can make it come true. It contains natural ingredients like Kokum, Shea, Aloe, etc. which tames the beards and also make them shinier and smoother. 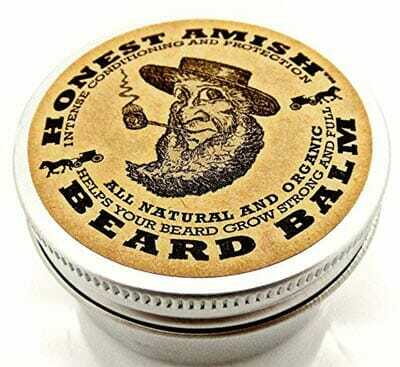 The usual problems of beardruff and rogue hairs can be easily sorted out through this Honest Amish beard balm. All the ingredients are organic, and it is also infused with 15 different hair enhancing botanicals which promote healthy beard growth. You do not have to be skeptical about the use of Vitamins and Supplements as the solution of how to grow a beard because it is more normal and causal than ever. They do not affect your hormones which means no trace of side effects and harmful hormonal imbalance in your body. Daily or timely intakes of Vitamin, biotin or any other type of supplements increases the growth of hairs. You can even find them as supplements in healthy food stores too. As you are already working on a healthy diet, I think you should try taking them in pills form for whom I have already mentioned a suggestion below. Delta Genesis is counted amongst the top brands to provide solution for the problem of beard growth. They provide hair growth vitamins whose enhanced formula supports natural hair growth on your beards, and you can see the results fast too. When no other growing beards tips are working for you, then I am sure the intake of supplements is not going to disappoint you. The package comes with 30 days of supply where you need to take 1 pill on a daily basis to grow fuller and thicker beards. Their formula does not cause any harmful effects on hormones and creates no side-effects too. However, you should always consult your doctor before taking such vitamins and other supplements because of every body functions differently, and you might be allergic to some of the contents. There is one thing on which you would have to agree that “Too Many Cooks Spoil the Broth.” This means when you are using too many products on your face they can all turn out to be dangerous especially when they are not made up of natural ingredients. And this is why you would have to wait and keep your patience level higher for this process. This may sound like a random fact but trust me it work especially when you are working on the problem of how to grow a beard. If nothing is working for you, then your hormonal imbalance and puberty can be a big problem in it. Some guys are late bloomers, and puberty also strikes late on them but it will going to work one day. So, you need to keep your hopes higher for this. However, if you think you are in right age and still not even minute hair follicles have started to appear on your face then you can consult your doctor for this. It is possible that supplements might not work, but the proper prescription given by your doctor can work for you. And make sure you are not believing in any of the myths related to bread growing because there are many. If you keep on working on these tips, I am sure that soon you will get amazing results in the form of the beards you always wanted to have. 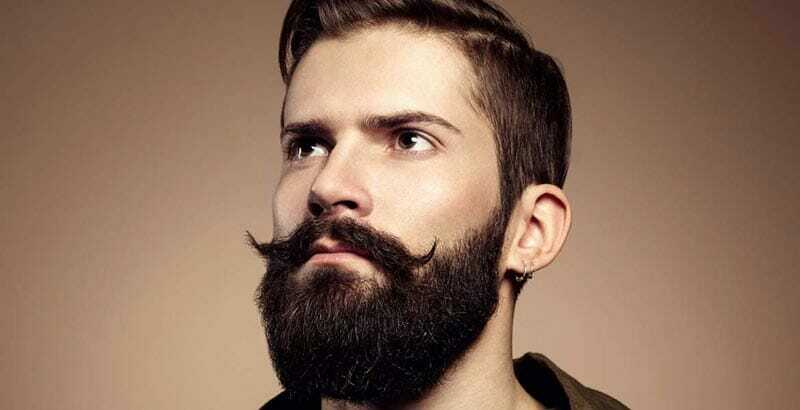 So, I am 100% sure that after all of these tips and tricks you are going to excel at growing not only long but thick and healthy beards too. However, this section of how to grow a beard is incomplete without stating the fact that every person is different and so is their hormonal balance. Puberty might hit you late but it will definitely, so the least you can do is to wait for the right time. 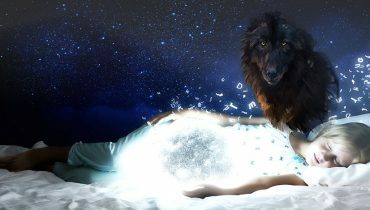 And before trying out these solutions, make sure that you keep all the myths out of your head completely. There are some home remedies too for this, but I think these products and tips mentioned above are enough for the healthy growth of beards.